Ozhotels is a group of independently owned and non-related hotels, motels and serviced apartments located in Launceston, Tasmania, Australia. Ozhotels allows you to deal directly with the hotels, motels or apartments therefore giving you the best possible rates for this Launceston accommodation. Why book your Tasmanian holiday accommodation any other way when you can compare and book online directly with the hotels and save save save!!! The city of Launceston has a wide variety of accommodation for visitors to choose from with an complete range of fully self contained serviced apartments, hotels, motels and unique B&Bs. This extensive choice makes finding the right place that suits all of your needs quite a difficult and time consuming task. This is where an accommodation expert like OzHotels is very uself. 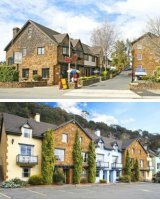 They allow you to compare hundreds of different properties that are situated all over Launceston, in order to find the one that meets your requirements and your particular travel budget. The main advantages of booking online with OzHotels is that you can book your travel up to 12 months in advance and that you will be able to get an extra discount off the already cheap rates the longer that you stay. So the next time that you are taking a business trip or holiday in Launceston you can save yourself lots of time and money by booking directly with OzHotels. Overlooking the beautiful City Park, Sandors on the Park Hotel is located just 5 minutes walk to Launceston CBD and is the perfect accommodation from which to visit the dozens of local tourist attractions that Launceston and its surrounds has to offer. All of these budget Launceston accommodation rooms are air-conditioned and have ensuite bathrooms, hair-dryers, ironing facilities and tea & coffee making facilities. Austar is available FREE in all of our affordable Launceston hotel rooms. Have a drink or meal and relax in our Monkey Bar Cafe, or relax in your room after a hard day of sightseeing and order from our room service menu. Enjoy the hospitality and service at Sandors on the Park Hotel Launceston, where our friendly staff can organise tours or give you more suggestions on enjoying many of the diverse attractions of Launceston. Quest Launceston offers studios, 1, 2 & 3 bedroom self contained serviced apartments in the magnificent historic Murray Building. Centrally located in the heart of Launceston, the Quest Launceston Serviced Apartments is a short stroll from the Launceston City Shopping Mall, Launceston Restaurant Precinct, Tourist Information Centre, City Park and Convention Centre, while only minutes to the renowned Cataract Gorge, Boag's Brewery & River Cruise Terminal. 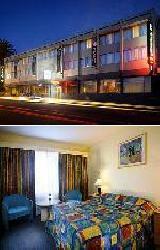 The Quest Launceston provides all types of travellers with discount accommodation in Launceston CBD. It also features a wide range of modern amenities and services such as business centre, conference centre, direct internet access, faxing facilities, guest laundry, lift, secretarial services, tour desk, airport shuttle and babysitting service. Quest Launceston Serviced Apartments is ideal for leisure and corporate gueats alike, providing a great alternative to traditional accommodation, offering guests a spacious apartment for the price of a hotel or motel room in a very central Launceston location. 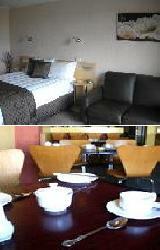 The Leisure Inn Penny Royal Hotel & Apartments offers quality 3.5 star hotel rooms only a short 5 minute walk away from the Launceston city centre. 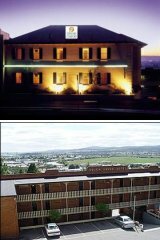 The accommodation at the Penny Royal Launceston ranges from budget hotel rooms through to fully self contained discount 1, 2 and 3 bedroom family apartments. The Leisure Inn Penny Royal Hotel and Apartments features beautiful gardens and lakes within its grounds and is ideally suited for children of all ages. Only a short walk away from this budget Launceston accommodation is the lovely Cataract Gorge and the Old Launceston Seaport Restaurants. At the Penny Royal Hotel Launceston guests can stay in true old world charm but still have the luxury of modern amenities to make them feel like home. The Hotel Charles Launceston is a new hotel motel offering travellers the choice of hotel rooms, studios, 1 & 2 bedroom serviced apartments, just a short walk to the Launceston CBD. Hotel Charles is Launceston's newest and most stylish hotel - providing modern, stylish, luxury accommodation in Launceston and offering guests a memorable Tasmanian experience. 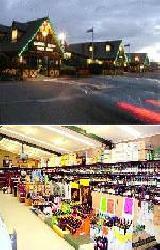 The Hotel Charles provides all types of visitors with discount accommodation in the Launceston city centre. It also features a wide range of modern amenities and services such as lounge bar, conference centre, direct internet access, disabled facilities, faxing facilities, free car parking, guest laundry, lift, restaurant, room service, tour desk, airport shuttle, 24 hour reception, baby cots available, babysitting service and daily housekeeping. The Hotel Charles Launceston offers the discerning leisure or business person a contemporary place to stay in an excellent Launceston location. The North Lodge Motel and Apartments is a recently refurbished property that offers motel rooms, 1 & 2 bedroom apartments and penthouse apartments. Located in the heart of the Launceston CBD, overlooking the picturesque city park the North Lodge Apartments provides all types of travellers with lots of different discount accommodation options. It also features a wide range of modern amenities and services such as child minding, direct internet access, disabled facilities, faxing facilities, free car parking, guest laundry and 24 hour reception. A stay at the North Lodge Motel and Apartments, Launceston opens up endless possibilities because it is ideally located for corporate business travellers and the perfect base to explore all the wonders this magnificent region has to offer. The friendly staff at the North Lodge Motel and Apartments aim to provide you with a real home away from home experience. The Olde Tudor Hotel is one of Launceston's largest hotel and entertainment complex offering travellers the choice of motel rooms, 1 & 2 bedroom self contained serviced apartments. The property is situated a mere seven minute drive from Launceston city centre and is ideally positioned only 2km to the Launceston Country Club Casino and next door to the Silverdome. 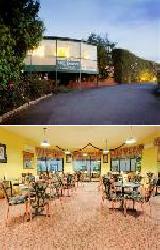 The Olde Tudor Motor Inn provides all types of travellers with discount accommodation in the Launceston CBD. It also features a wide range of modern amenities and services such as lounge bar, free car parking, guest laundry, restaurant, room service, sauna, spa, indoor pool and daily housekeeping. The Olde Tudor Hotel Launceston also caters for corporate business clients with photocopying services, facsimile services and conference facilities. The accommodation provided by the Tamar River Villas consists of spacious self contained studio apartments and 2 bedroom serviced apartments, which are positioned on the banks of the delightful Tamar River. Only a a leisurely five minute drive from the Launceston CBD and 10 minutes drive from the famous Cataract Gorge the Tamar River Villas in Launceston is close to everything that the city has to offer. 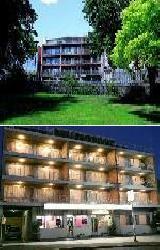 The property also has numerous guests facilities and services including direct internet access, disabled facilities, faxing facilities, free car parking, guest laundry, restaurant, landscaped garden area, luggage storage facilities, vending machines, daily newspapers, non-smoking apartments, interconnecting rooms, airport shuttle and even baby cots available for hire. The business facilities at the property include WIFI internet access in all apartments and throughout the property, faxing facilities, photocopying services and a business centre. Families and holiday makers will appreciate the central location of the Country Comfort Coach House. Ideally positioned to take advantage of all that Launceston has to offer including wineries, football, golf courses and restaurants or you can make Country Comfort Coach House your base from which to explore the exhilarating Tamar Valley and breathtaking Cradle Mountain. Corporate business travellers will also love the Country Comfort Coach House which is close to the business and manufacturing hubs of Launceston. The hotel accommodation rooms at the Country Comfort Coach House are spacious and quiet and come complete with data ports, desk units, free Broadband ADSL and that home cooked style Country Fare buffet evening meal. 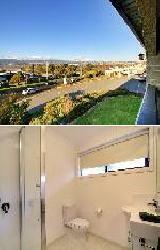 For a truly hospitable home away from home feeling stay in this affordable Launceston accommodation. The Tamar Valley Resort is perfectly positioned approximately 10 minutes drive North of the Launceston CBD in the heart of the famous Tamar Valley wine region. With a similar climate to northern France, The Tamar Valley in Northern Tasmania is considered one of Australia's most exotic locations. 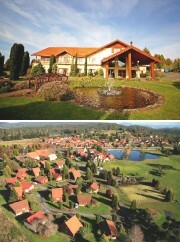 The Tamar Valley Resort is arguably one of Tasmania's finest resort style accommodation venues and includes a resort owned 9 hole golf course and resident pro golfer. The resort offers numerous types of Tamar Valley accommodation options including suites in the elegant & stylish Grand Chateau Hotel & fully self contained family chalets which sleep up to 7 people. The chalet rooms are selectively scattered amongst the resort's grounds and all of them enjoy either a spectacular lake or golf course view. The 'Grindelwald Swiss Shopping Village' is located on the grounds at the Tamar Valley Resort Launceston, is open from 9am every day and contains beautiful local arts, craft shops, chocolate shop, village bakery, newsagency, general store & the Tamar Valley Resort's Alpenrose Restaurant & Bar which serves breakfast, lunch and dinner overlooking Lake Serene and the magnificent golf course. There are many activities that you can partake in when you stay at the Tamar Valley Resort Launceston, including tennis on 2 full size all-weather courts, mini golf at the world class 18 hole lake side course, fly fishing for Rainbow Trout with an experienced guide at one of the private lakes on the resort grounds, canoe hire, Free BBQ & picnic areas and a children's playground with climbing frame, swings, trampoline, see-saw, sandpit and sensational pirates ship. The Village Family Motor Inn offers budget 1 & 2 bedroom self contained serviced apartments centrally located 5 minutes from the Launceston CBD and 15 minutes from airport. 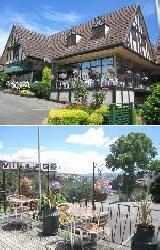 The Village Family Motor Inn provides all types of travellers with discount accommodation in South Launceston. It also features a wide range of modern amenities and services such as lounge bar, direct internet access, faxing facilities, free car parking, guest laundry, restaurant, sauna, spa, bbq, garden, indoor pool, baby cots available and daily housekeeping. Conveniently located the Family Village Motor Inn offers affordable Launceston apartment accommodation with FREE internet, fantastic facilities and panoramic views of the Tamar Valley and city from the comfort of your apartment. Abel Tasman Airport Hotel offers star quality Queen, Twin & Family motel rooms located near Launceston Airport and just 10 minutes drive from the Launceston city centre. The Abel Tasman Airport Motor Inn is the closest accommodation to Launceston Airport with 42 quality non-smoking rooms all with ground floor access and convenient parking to your door and serviced daily. The Abel Tasman Airport Motor Inn in Kings Meadows also has numerous guests facilities and services including conference centre, direct internet access, free car parking, guest laundry, restaurant, room service and tour desk. Abel Tasman Airport Motor Inn also caters for business corporate travellers Wifi access in all hotel rooms, faxing and photocopying services. The Abel Tasman Airport Hotel provides quality accommodation and comfort with local character and friendly customer service. Guests at the Adina Place City View Apartments will witness the charm and beauty of Launceston first hand when they step out onto their own private balcony. The Adina Place Motel and Apartments provides quality budget accommodation in Launceston's city centre that is ideal for both families and corporate clients. The Adina Place City View Apartments promises wonderful views of the city from every room, along with the comfort and convenience of a quality property and a choice of studio or 2 bedroom fully self contained apartments or double spa suites. All guest rooms are serviced daily and provide the perfect base from which to explore all that Launceston has to offer. This discount Launceston accommodation is just a leisurely 2 minute walk from the city centre, idyllic parklands, fine restaurants, convention venues, museum, Princess theatre, shopping and the mall. Cataract Gorge is alos just a short distance away and is a great place to visit in the evening. The Adina Place offers stylish, comfortable and affordable rooms and the friendly staff will go out of their way to make you feel genuinely welcome. 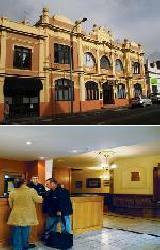 The Batman Fawkner Inn is one of Launceston's leading budget accommodation properties. The Batman Fawkner Inn is set in a delightful historic building offering hotel and backpackers hostel guest rooms all with private ensuite bathrooms. Situated in the heart of Launceston, the Batman Fawkner Inn Hostel is only 5 minutes walk from Tasmania's premier shopping precinct and also features many guest facilities including lounge bar, direct internet access, free car parking, guest laundry, lift, tour desk and airport shuttle. The Batman Fawkner Inn Hotel & Backpackers Hostel is situated only a 15 minute walk to the magnificent Cataract Gorge and provides comfortable Launceston inner city accommodation at very affordable rates. The Balmoral on York is a spacious and clean hotel that prides itself on its friendly, helpful service. This quality Launceston accommodation is centrally located to all of the city's beautiful parks, cafes, restaurants and major shopping precinct. Balmoral on York has a range of hotel rooms avavilable compelete with great services including free Cinema Movie Channels, free Austar cable TV and fast wireless internet access. 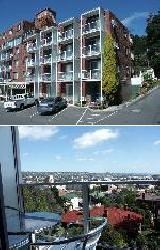 The City View rooms have unrivalled views across the Launceston CBD and the Tamar Valley. Many of Australia's regular travellers stay with us on a regular basis because of the spacious, well appointed rooms and great friendly service. The Balmoral on York Hotel Launceston also has a fully licensed restaurant with an award winning chef serving breakfast daily and dinner six nights a week. 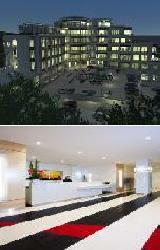 The Balmoral on York is also conveniently located to the major hospital and medical offices in the city. The city of Launceston and the surrounding region has lots of different places that are ideal for long or short term holidays. This includes the Best Western Riverside Hotel, Cornwall Boutique Hotel Launceston, Country Club Resort Launceston, Edenholme Grange B&B Accommodation, Hotel Grand Chancellor Launceston, Elphin Villas Motel and Serviced Apartments, Pier Hotel Launceston, Old Bakery Inn Launceston, Lido Boutique Apartments, Country Club Apartments Launceston and the Peppers Seaport Hotel Launceston. 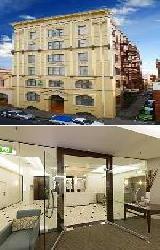 In order to book in at these or any of the other hotel accommodation in Launceston then click here to make an enquiry.